Gypsy Denzine joined the provost's office as the senior vice provost for faculty affairs in Aug. 2018. 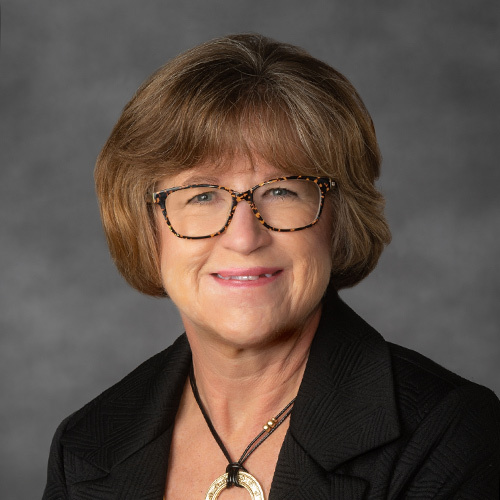 Denzine and her team oversees the university’s promotion and tenure process, including providing tenure-eligible faculty with the tools to be successful in advancing their careers. The office develops and implements a universitywide mentorship program, strengthens professional development for department chairs and other academic leaders, oversees and develops faculty awards and completes other tasks associated with academic personnel issues. An integral part of Denzine's provost office structure, the Office of Faculty Recruitment and Retention leads initiatives to promote the hiring and retention of outstanding and diverse faculty members; the development, implementation and interpretation of faculty policies; the promotion and tenure process; and academic leadership development programs. The Center for Teaching and Learning Excellence works to provide a robust array of developmental experiences that prepare faculty to create and facilitate effective and evidence-based instruction to promote student success. The Office of Faculty Affairs promotes faculty excellence in teaching, research and creative expression, university and community service at VCU. Click here to read our full mission statement.